Choosing which hire car would most suit you and your travel companions’ needs can be a difficult decision. There are many areas that people want to take into consideration when deciding on a car to hire - but the biggest factor is whether or not it is the right size for all the travellers and their luggage. Car categories can be confusing especially as different companies will put the same car in different categories. For example a Fiat 500 may be considered a 'mini' car or 'economy', or a Vauxhall Zafira could be an 'intermediate' or a 'standard' car depending on the rental car company. Searching for car hire with Carhirex.com allows you to select all the different categories easily to find the ideal car for you. You can also narrow your search to include those hire cars that offer fair fuel policies, a free additional driver, gps or air conditioning. Bear in mind when considering 7 seaters, that some, for example the Grand Picasso and the Ford S-Max, can be described as 5+2. 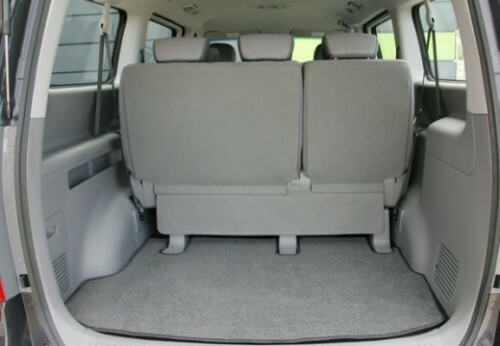 This means that, although they do have 7 seats, the rearmost seats tend to have less legroom and may therefore be more of a tight fit for adults (particularly on long journeys). Car hire companies often give guidance on how many cases will fit inside different makes of car but this will obviously be dependent on the size and shape of your luggage. It can be worthwhile visiting a car manufacturer's website as they will give you the actual dimensions of the boot so you can compare it with other cars. Even better if you are able to take a look at the car itself at a garage - although we appreciate that this is not always possible for everyone or every car. Take into consideration how long you will be spending in the car. If you are only using it for an hour's drive from (and back to) the airport at either end of your holiday, you may be prepared to have a tighter fit or a suitcase on your lap for the journey. And where will you be driving the car? Some more difficult terrains may be better suited to an SUV or if there are only 2 of you, a smaller car may be easier to park in a busy city centre car park.